Elspeth Turner, Artistic Director / Writer, Stoirm Òg. Elspeth Turner is an actor and writer. Theatre credits include The Strange Undoing of Prudencia Hart (Eastern Angles), Granite (National Theatre of Scotland), Mischief (Oran Mòr / Traverse), The Idiot at the Wall and SpectreTown (Stoirm Òg), Extremities (Veritas), Dial M for Murder (dir. Peter Flynn) and The Odd Couple (dir. BT McNicholl, both Engeman Theatre, New York), The Pillowman (MRA, Theatre Row NYC), Titus Andronicus and Macbeth (The Secret Theatre, NYC). Film/TV credits include Armchair Detectives (Tiger Aspect for BBC1), Riptide (Lyre Productions) Real Life Mallory (NYFA), The Man in the Attic (Casa de Luz) and The Box (Little City Pictures). Elspeth is a graduate of the American Academy of Dramatic Arts. Having studied and worked in London and New York for several years, Elspeth then returned to Scotland and began writing plays. Her first play, The Idiot at the Wall made its debut at the Edinburgh Fringe, followed by an extensive tour of Scotland. Elspeth’s second full length play, SpectreTown was directed by Matthew Lenton (Vanishing Point), and produced in partnership with Cumbernauld Theatre, where Stoirm Òg was Company in Residence 2014-15. Elspeth has also written for the Village Pub Theatre, and for Buffalo Trace UK. She is the recipient of a Tom McGrath Award, and an award for Playwriting from the Peggy Ramsay Foundation. 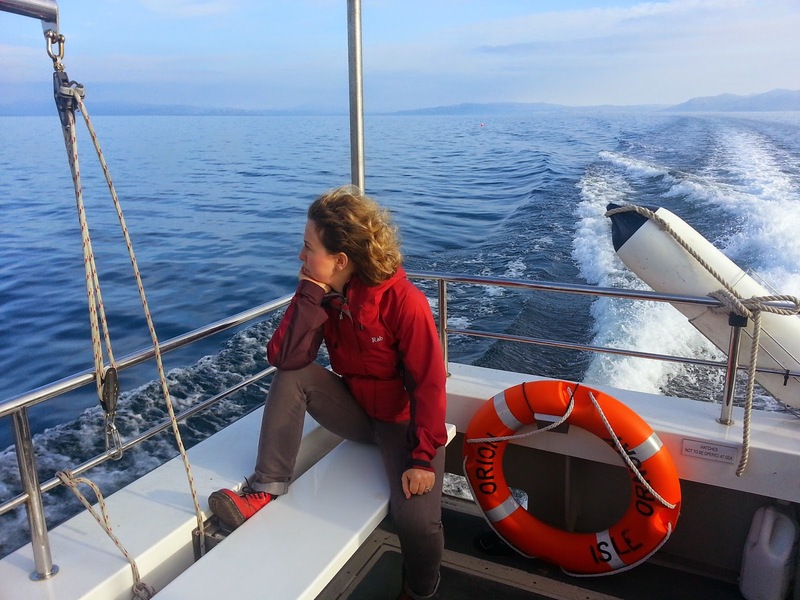 Elspeth is also currently developing her first feature film script, The Last Munro. Her new piece, Trouble the Water, explores the legacy of the first Gaelic-speaking settlers in America’s deep South. In 2016 it was produced in development by Glasgow Life / NTS at Tramway in Glasgow. Elspeth went on to be selected as one of the National Theatre of Scotland’s Starter For Ten programme, and further developed the piece during her residency there. Elspeth is currently based at Sabhal Mòr Ostaig on the Isle of Skye where she is studying Gaelic and developing her writing. 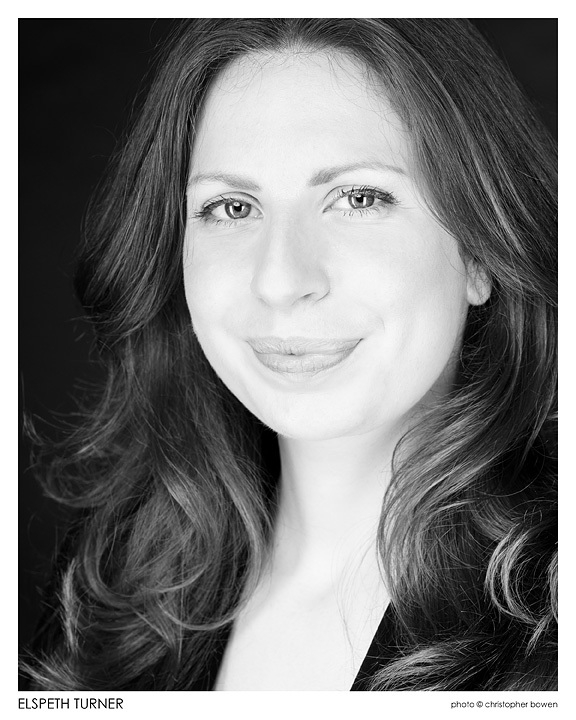 Aiyana D'Arcangelo, Producer, Stoirm Òg. Since moving to Scotland in 2011, Aiyana has worked with Stoirm Òg (The Idiot at the Wall; Spectretown), Dundee Rep (Blood Wedding), Scottish Dance Theatre (SCALE - Glasgow 2014 Cultural Programme), Poorboy Theatre, and David Leddy / Fire Exit. Previous production work includes: New York University (Tisch School of the Arts, New York and Villa La Pietra, Florence, Italy), Robert Wilson (Watermill Center for the Arts/Byrd Hoffman Foundation), Lincoln Center Festival, ‘Inside the Actors Studio’- TV (Pace University), Cynthia Hopkins (Must Don't Whip 'Um - National U.S. Tour), and St. Ann's Warehouse. Aiyana studied Theatre at the University of Southern California, Los Angeles (B.A., 2004) and Managing in the Creative Industries at the University of St Andrews (MLitt, 2012). 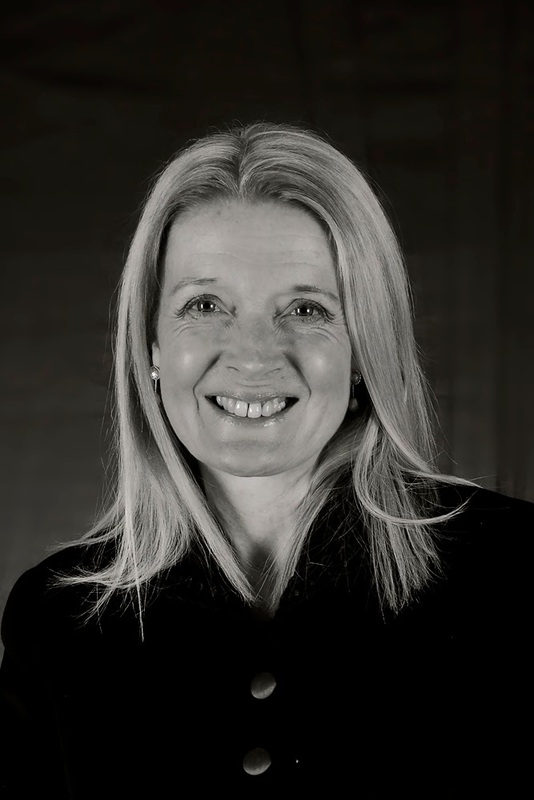 Susan Martin is a freelance Stage & Production manager who moved to Scotland to study at the Edinburgh Lighting and Sound School. 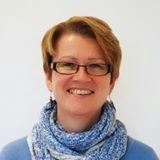 She is now based in Edinburgh and is very much enjoying working across Scotland. As a former teacher and lecturer in English, she is fascinated by drama and theatre from all eras, but admits to a long-standing attachment to the world of the eighteenth-century! In addition to Stoirm Òg’s first tour of ‘The Idiot at the Wall’, Susan’s recent credits include tours of ‘Shangalang’ and ‘Uncle Varick’ for Rapture Theatre, Ulysses for The Tron, and Flâneurs by live artist Jenna Watt. Scotland much Aberdeen writing. She has just finished filming ‘Sunset Song’ with director Terence Davies.Bridget also teaches presentation skills using her TV, broadcasting and theatre skills. Her book aimed at helping young lawyers in court, ‘The Advocacy Skills Book’ was released in January 2015. Mark has appeared in VICTORIA at Dundee Rep, directed by Philip Howard and THE GINGE, THE GEORDIE & THE GEEK for Shed Media Scotland as well as the TV pilot WALKABOUT, a new comedy drama directed by Vito Millazzo. Other credits include the feature MY BROTHERS KEEPER directed by Lee Hutcheon; regular Angus Fergus in TRINITY for ITV; THE MEN OF PIPER ALPHA for Clan Films; HOW NOT TO LIVE YOUR LIFE for the BBC; SEA OF SOULS for the BBC; THE VERDICT for the BBC and TAGGART - DO OR DIE for SMG. At the Citizen's Theatre his credits include Laertes in HAMLET directed by Guy Hollands and BLOOD WEDDING, directed by Jeremy Raison. Kai trained at Glasgow University and at HDM Stuttgart, from where he graduated with a degree in Audio-Visual Media Design. 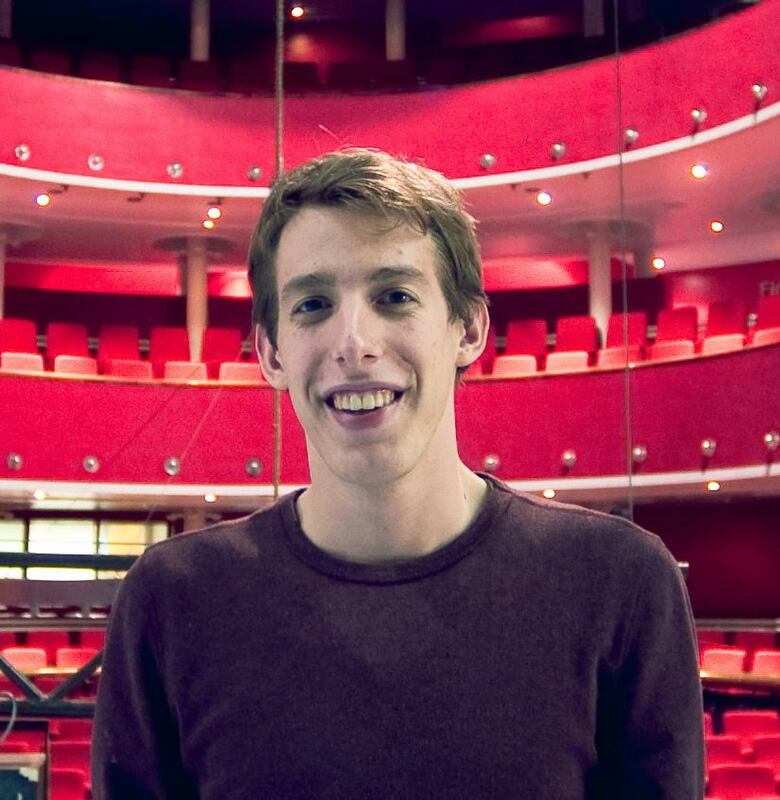 He is one of the Artistic Associates of the Scotland-based company, Vanishing Point. Kai’s most recent designs for the company include Interiors, The Beggar’s Opera, Subway, Little Otik and Lost Ones. Kai recently created and directed his own show, 'Last Dream on Earth', in association with the National Theatre of Scotland and the Tron Theatre. Design work for other companies includes the set and lighting designs for Wondrous Flittings (Royal Lyceum Edinburgh), Somersaults, Home Caithness, Mancup, Allotment 3 and Allotment 4 (The National Theatre of Scotland), Re:Union (7:84 Scotland), Fewer Emergencies (Ankur), Heer Ranjha (Ankur and Tramway Glasgow), as well as One Night Stand for Nick Underwood. 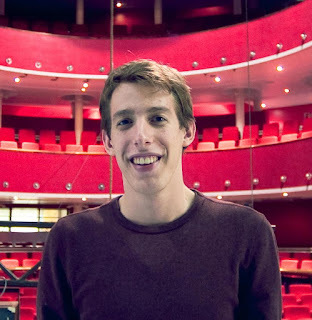 Kai’s Lighting Design credits include productions for the Citizens Theatre Glasgow, Dundee Rep, Dogstar, Lung Ha’s, MacRobert Stirling, Perth Theatre, RSAMD and York Theatre Royal, Richard B. Fisher Center in Annandale on Hudson NY, Royal Lyceum Edinburgh, SweetScar, TAG, Take Two Productions, Theatre Babel, Traverse Theatre Edinburgh, Tron Theatre Glasgow and Young Vic London. 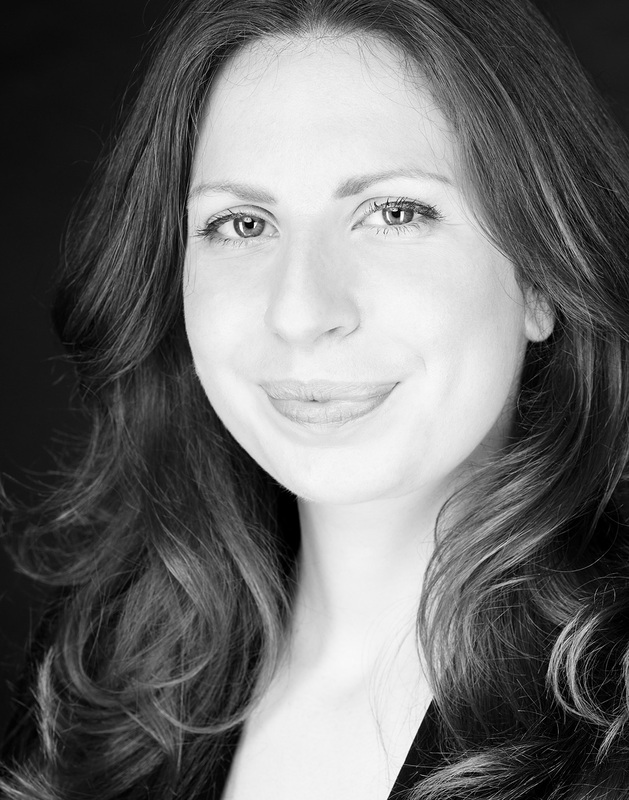 Originally from New York, Emily is a Glasgow-based director and graduate of the masters in Classic and Contemporary Text from the Royal Conservatoire of Scotland. Recent highlights include developing and directing The Idiot at the Wall by Elspeth Turner, which recently completed a successful Highlands and Islands tour; directing NYC premieres of Anders Lustgarten's The Break Out and Neil LaBute’s In the Beginning for Theatre Uncut, and assistant directing the award winning productions of both Quiz Show by Rob Drummond and Ciara by David Harrower for the Traverse Theatre, as well as bringing their double bill (Clean by Sabrina Mahfouz and A Respectable Widow Takes to Vulgarity) to NYC's Brits Off-Broadway festival. 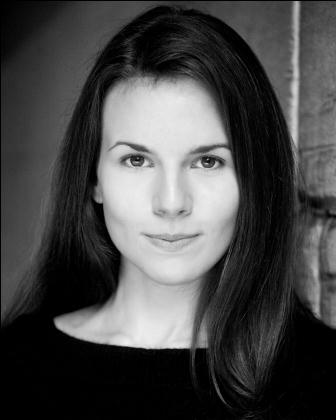 Lucy trained at the Royal Conservatoire of Scotland and has an MA with merit in Acting. Theatre credits include: 'Flora' in Reminded of Beauty (Linda McLean, Tron/Traverse/Hampstead theatre); 'Lavinia' in Titus Andronicus (Bard in the Botanics); Tanya in Plasticine (Citizens Theatre); and 'Marianne' in Tartuffe (Liz Lochhead, A Play, a Pie and a Pint). Film & TV credits include 'Amelia' opposite comedian Ed Byrne in My Beast Friend a comedy short for the BBC; the lead role in BAFTA new talent award winning film Spring Forward, Fall Back; and all nine characters, including a troupe of bogeymen, an old man and his dog, in Dogged, winner of best experimental short at Aesthetica Film Festival. Lucy is excited to be working with Stoirm Òg on this first tour of The Idiot at the Wall. 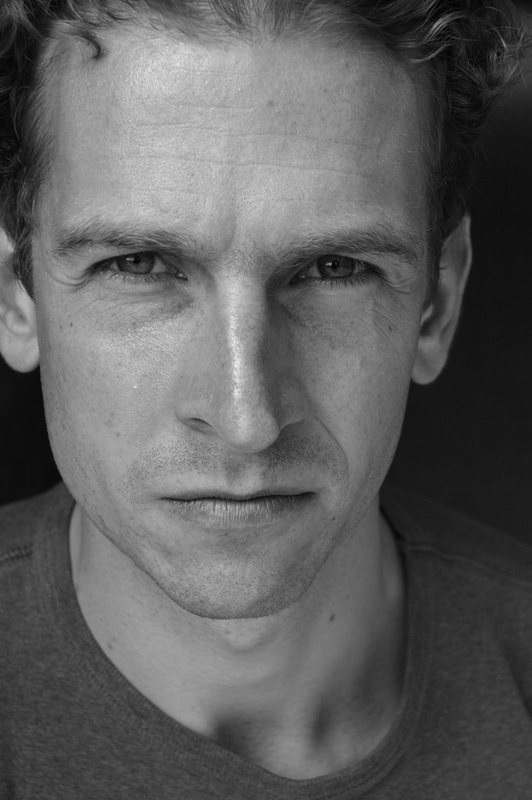 Born in Edinburgh, and brought up between Australia & Scotland, Tim trained as an actor at Drama Centre London, graduating with a BA Hons degree. 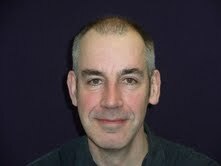 Screen acting credits include Taggart; Waterloo Road; Children Of The Dead End (Glass Machine); The Queen’s Wedding (Mentorn); Richard Jobson’s New Town Killers; The Tony Miller Story (BBC Alba) and Narcopolis (T Squared Films). Theatre work includes plays for Citizens Theatre, The Arches, Theatre 503, Bard In The Botanics, Prime Productions, First Bicycle, Theatre Enigma and Nonsenseroom. Tim set up Lyre Productions as a platform for making challenging, contemporary feature films. He wrote, produced & starred in The Inheritance – the award-winning indie Scottish road movie directed by Charles-Henri Belleville. Nominated Best UK Feature on its premiere at Raindance, The Inheritance won the Raindance Award at 2007 British Independent Film Awards and Tim was nominated Best Producer at 2008 BAFTA Scotland New Talent Awards. The Inheritance toured festivals & cinemas widely and was released on DVD together with a 60 minute documentary showing how to make a tiny-budget award-winning feature. 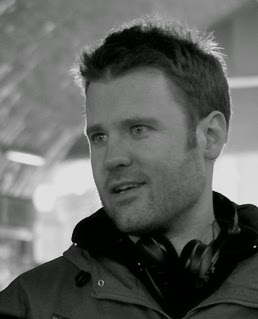 Tim wrote, produced and directed Lyre’s second feature film The Space Between – an Edinburgh love story and redemption tale – which premiered at Edinburgh’s Filmhouse in March 2011. The film toured Scotland and the UK until 2013. Tim’s debut stage play Guy was produced at London’s Pleasance Theatre. His second play Union premiered at the Lyceum theatre, Edinburgh in March 2014, directed by Mark Thomson. He has written for Shotgun – a London-based collective set up by Tom Hardy, Robert Delamere and Brett. C. Leonard of New York’s Labyrinth Theatre Company. Tim assistant directed & co-produced Shotgun’s inaugural production at Theatre 503 – the world premiere of Blue On Blue, directed by Tom Hardy. Annie is a musician, actor and composer. After graduating in Fine Art at Glasgow School of Art, she co-founded the band Iron Horse and toured worldwide, recording several albums over a 12-year period. Theatre work includes The Strange Undoing of Prudencia Hart, Peter Pan (National Theatre of Scotland), The Idiot at the Wall (Stoirm Òg), Pinocchio (Arches), Jacobite Country,The Heretic’s Tale (Dogstar), Cyrano de Bergerac, Poker Alice, Tir na Nog (Òran Mór), Tam O’Shanter (Perth/ Communicado), Story Nation (Dumfries and Galloway Arts), Miniatures (theatrecollective@highland), Mum’s the Word (Robert C Kelly Productions),Homers (Traverse, Edinburgh), TheCeltic Story (Wildcat), The Wedding,The Accidental Death of an Accordionist (Right Lines Productions). She currently performs in a harmony trio with Karine Polwart and Corrina Hewat, and with her own band. Her solo album, Take Me Out Drinking Tonight, is available to buy. Murdo has played with Roddy & The Rockets, The Juice Tigers, Bongo Fury & The Loincloths, The Bicycle Thieves, and The Laimerig Singers. 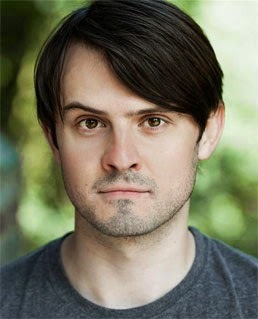 He composed music for the HATS production, Feet, and for Falling Cutlery's critically acclaimed 2010 production of Lazybed. 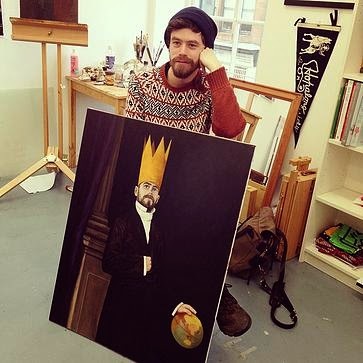 Previously collaborated with Murdo Turner for Falling Cutlery's production of Lazybed, and also performed alongside Murdo in The Bicycle Thieves. Prior to coming to Edinburgh, Tim was a founding member of the Falmouth Fish Sea Shanty collective, 'Azoy' klezmer music group, and has worked with Cornish theatre groups Rogue Theatre, and Bedam Theatre on various projects. Steeped in Celtic and World folk music from an early age, Tim currently performs as the lead violinist in 'Simone Caffari and the Badwills', an Italian folk group based in Edinburgh. Jan Bee Brown has worked in design for over 25 years. Graduating from Central St Martins in 1987 Jan Bee’s career has taken her around the world, from the west end to remote village halls. Inspired by collaborating with new writers, artist and with historic collections Jan Bee crosses traditional boundaries in performance and exhibition; highlights have to include working with Johann Kresnik in Germany, John Martin and Pan Projects, Siobhan O Casey at the Abbey Theatre in Ireland, with Stella Quines in the Scottish highlands and my work with Sir Alan Ayckbourn at the Stephen Joseph Theatre and The Art Gallery here in Scarborough. "As a theatre and exhibition designer you are a essentially a visual storyteller. Everything the audience see on stage, the visual environment and the way they interact with and interpret a collection of historic objects or art works has been researched, considered, budgeted, decided on and fashioned by the designer. A designer is only as good as their support team and it truly is a collaborative practice working across all the artistic and technical departments in a theatre or museum."